The Real Blog: Have the Tories have abandoned the middle classes? Have the Tories have abandoned the middle classes? I wrote earlier this week about selling social housing to tenants, and the circumstances where it could be a radical idea again, as perhaps it was in 1980 - backed at the time, rather bravely, by the Liberal Party's housing spokesman, David Alton. Of course, what we didn't know then was that local authorities would be forced to hold onto the money they made from the sales, rather than investing them in new stock. That small mistake made an excitingly radical idea into the foundation of our current housing shortage. What I wrote seems to have been read more widely than my posts usually are, and especially for some reason in the USA - it was copied in Florida (thank you, Maria!) and I've found myself on the receiving end of fascinating responses from there. I've also had a number of online conversations with people who don't agree with me that the independence of owning a home is in any way superior, or that it should be extended to the poor as well as the rich. I realise it is politically correct to say that renting is morally preferable, but that seems to me to deny the obvious - that wealthier people have a privileged independence not open to renters. The idea that has really caught the imagination of radicals in Florida is the TINY home, a self-built home built to the size of an average car parking space (89 square feet). 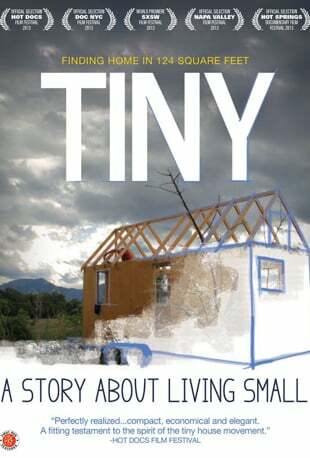 There is rather a good film about it - but since I know that, in London, young people will soon be forced to live in tiny temporary cabins, I don't feel quite the same excitement about it as they do over there. What they do have in the USA which we can learn from is the Habitat programme of community-led self-building, though it does have a track record in the UK (and something related is in the Lib Dem manifesto). Self-build social housing was pioneered in Lewisham in the late 1970s over here - in the teeth of opposition from the local Labour Party. Because it seems to me that, traditionally, both Labour and Conservative have their heads in the sand over housing. We are clearly expected to look back fondly on the council house sales policy of 1980, but then most of those outside Westminster are aware of how much the world has changed since then. We were already talking about house prices in those days, in training for a thousand dinner parties to come, but actually – compared with what came later – the average price of a home in the UK was very low: £18,000 (now worth about £74,500 at today’s values). This was not quite the 1930s, the heyday of house buying, when a new semi-detached cost just over £500, available with a down payment of £50, and when mortgages cost about 10 per cent of a middle-class income and were paid off within sixteen years. But looking back, 1980 was actually the beginning of the extraordinary process which – over the next three decades – has goaded the rise in prices so brutally that it has ended the house-owning dream for many people, and which now, more than anything else, threatens the very existence of the middle classes. See more about this in my book Broke. This was the peculiar thing about Cameron's presentation on Tuesday about 'working people'. As if somehow working people were the only people in difficulties, when - if you are not on the housing ladder already - working class, middle class, every class are in precisely the same sinking boat. The Conservatives have failed to grasp that the vast majority of people in the UK, especially those under 40, are now priced out of civilised life. They have failed to grasp that the so-called 'affordable' housing still requires combined salaries of £100,000 or more. They have failed to understand that, far from spreading home ownership in the UK, we are increasingly dependent on Big Landlord plc. It is, in short, a huge lie. In those circumstances, letting 27,000 tenants a year buy their social housing at a discount is really neither here nor there. It is a symbolic policy, of course, but there is nothing behind the symbol. Meanwhile, the young middle classes wither on the vine. 1. Build new homes to give away to tenants, along the lines of the Lib Dems rent-to-own scheme but on a much bigger scale - on condition that, if they are given a discount, then the home must stay at that discounted price for 30 years. 2. Clamp down on banker's bonuses and foreign investors which are currently pushing up prices so disastrously (we might be able to build enough to satisfy our own demand, but not Singapore's as well). 3. Give all tenants, public and private, the right to buy their homes. Will it be enough? No, but it would shift the power. And let's be clear about it: there was no recognition in David Cameron's statement of quite how tyrannical the situation has become - for everybody. "They have failed to grasp that the so-called 'affordable' housing still requires combined salaries of £100,000 or more." Sorry David, I believe this is factually incorrect. I certainly know of under 40s who seem to afford decent housing on salaries more like half that figure. How did you calculate that figure? The only real solution is to address supply against demand. That means more supply and less demand. Forcing people to sell private property doesn't make for more housing, and has many implications on the freedoms in this country. Long-term artificial price fixing is hard to make work, and is how black markets start. Shame your coalition did nothing to address the foreign speculation issues, which was one of the few problems not constrained by EU law. Have you looked at the price of houses in Oldham recently? Really not that dear - I wonder why? We need to spread jobs across the country, sice it is physically no possible to build enough in London for current demand. Have you wondered to what extent buy-to-lets are actually owned by your middle classes? Or how housing has adapted to the rapidly increasing population. Ordinary people in the '30s were then working class (now your middle classes), and couldn't afford a house. This was no halcyon era. Mortgage corsets kept working classes in their place - the council house. 1. 50% capital gains on domestic house sale profits for all non-residents, non-doms, and second house owners. 2. Clamp down on avoidance of second home taxation though house flipping and splitting of the ownership of multiple houses within one family. The French have some ways to do this. 3. Triple council tax on second homes that are not rented out on long-term rents. 4. Double council tax on second homes that are rented out for only partial periods. 5. Stop HS2 and spend the money on social housing. 6. Reset the house-extension rules to allow 50% increases in the 2000 floor area without special planning permission. Part of the housing issue can be addresses through simple extensions. Additionally, let's hope you don't need to work abroad for a year and rent your house out, only to come back and discover the renter has bought it. The idea of private rented houses being available to buy is never going to work and is an insult to personal freedoms. Thanks so much, Ian. I very much agree and this whole approach was much discussed in the 1980s and then rather forgotten. You;re quite right that we can learn from this in the UK.